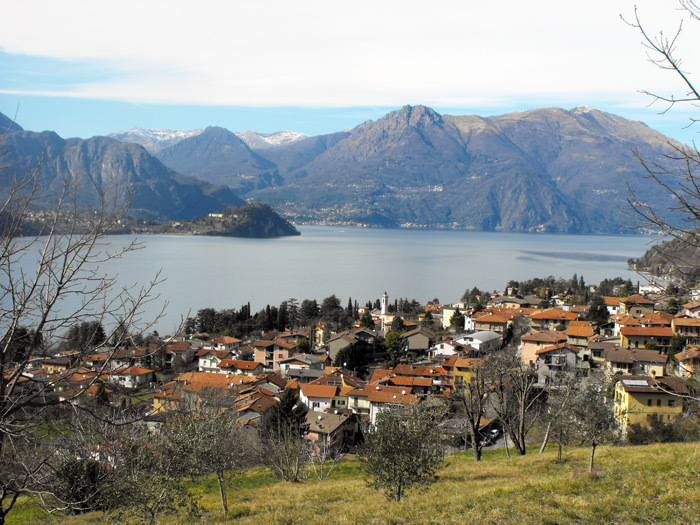 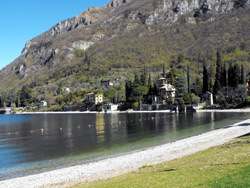 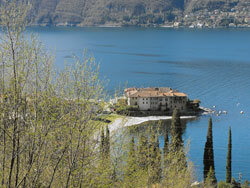 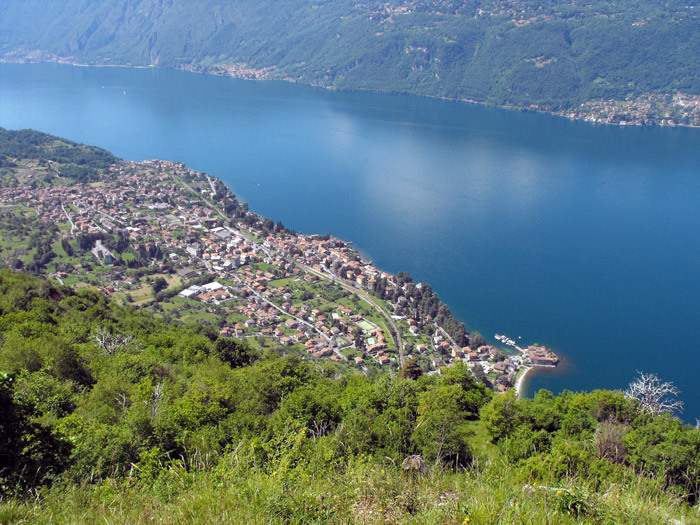 Lierna rises from Lake Como's eastern shore between Mandello del Lario and Varenna. Most likely of a Celtic origin, it takes its name from the Roman Hibernia (winter camps of the Roman legions). 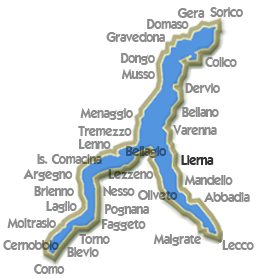 The town of Lierna is formed of 11 villages spread across a territory which runs from the lake shore to the Grigne mountains. 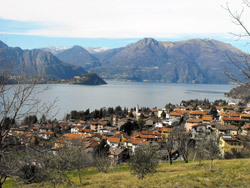 The hillside villages display the typical medieval structure, with narrow alleyways and houses built one on top of the other. 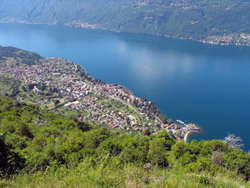 In the village of Castello, ancient medieval village that has remained unchanged in time, we find the Romanesque Church of Saints Maurice and Lazarus, which holds inside interesting frescoes from the 1500s, and relic of S. Maurice which each year is carried in the procession celebrating the Patron Saint on the evening of September 22. 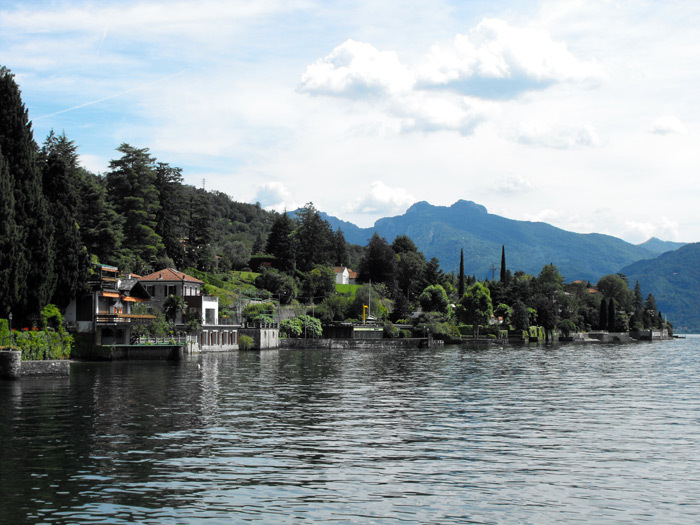 To the south, in Olcio there is a quarry of the beautiful black marble that was also used in the construction of Como's Duomo. 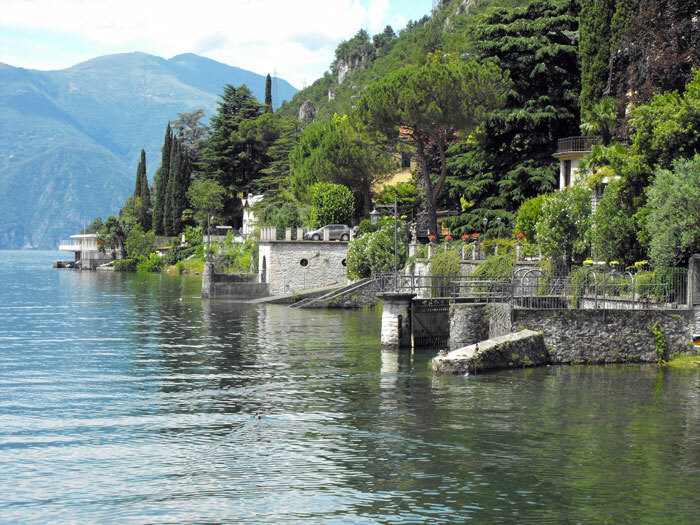 The villas of Lierna are amazing. 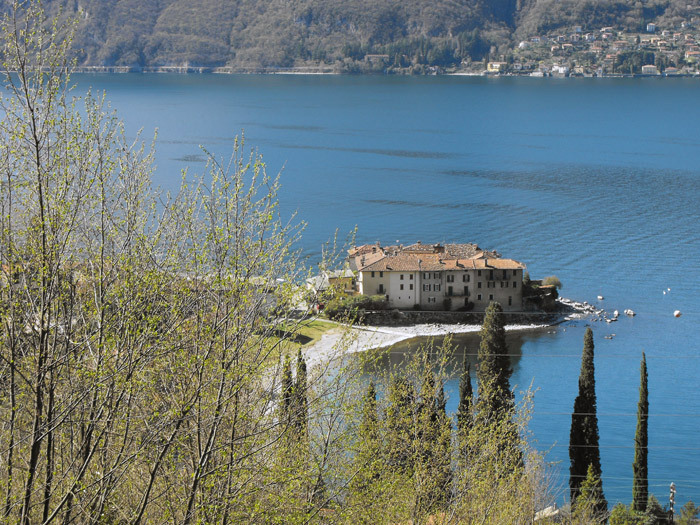 We remind you of Villa Pini rebuilt by Achille Pini in 1921 in the place of a farmhouse built in the middle of the 1800s by Tomaso Panizza, the villa was recently restored, and is not divided into apartments. 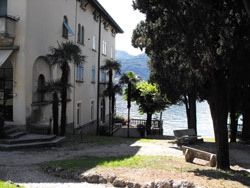 We find in the vast park surrounding Villa Pini, a source of ferruginous water, and some beautiful magnolia, palm and pine trees. 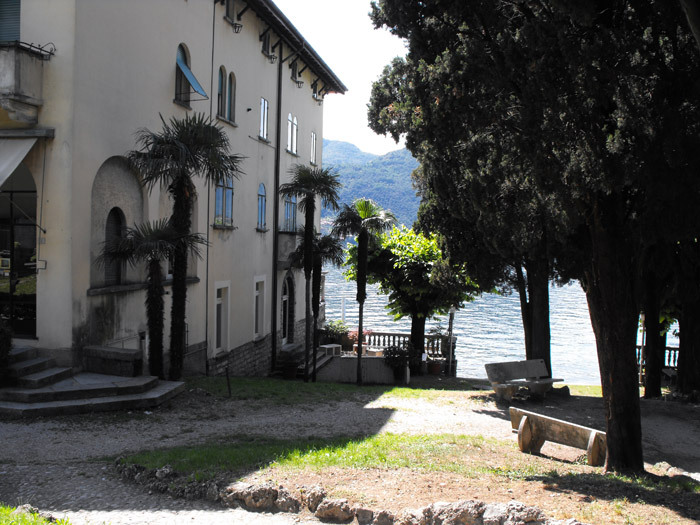 Villa Besana or Aurelia built beginning in 1920 in a rectangular plan with the front facing the lake, where some liberty and eclectic elements can be seen. 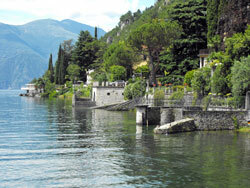 The villa is surrounded by a vast park, and two stone docks rise along the lake shores. 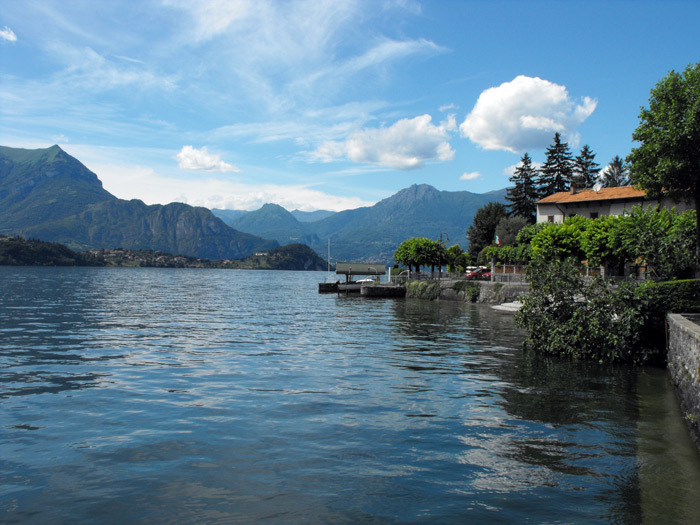 Since 1921 Mandello Lario has been the headquarters of Moto Guzzi (Guzzi Motorcycle), one of the most prestigious Italian motorcycle makers, in the territory there are other historical industrial and artesian brands.